I’m alive! I have survived another semester and as usual, break means actual heromachining will be done. School just preoccupied my time and I didn’t create, though I did lurk now and again. Here is another take, though realistically, he generally ends up about the same, on Timothy Addeus. 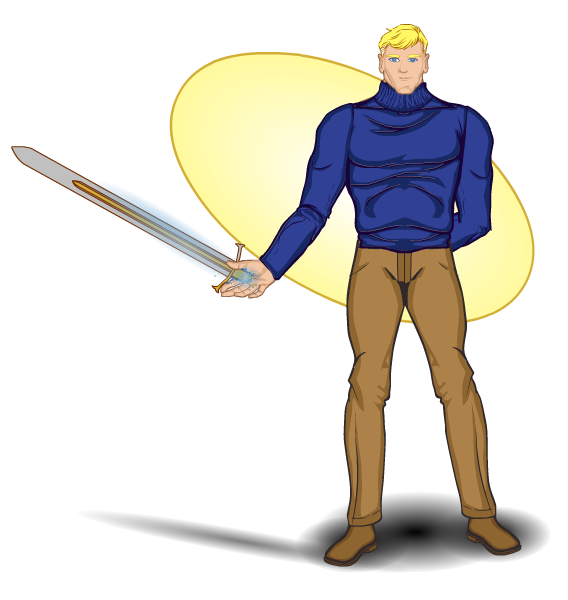 Timothy is a student at the Institute, the school which trains young superheroes, who has the ability to summon forth a mystical sword from his body. He is a great swordsman and can fire magical blasts from the blade. This reply was modified 1 year, 4 months ago by Vampyrist.